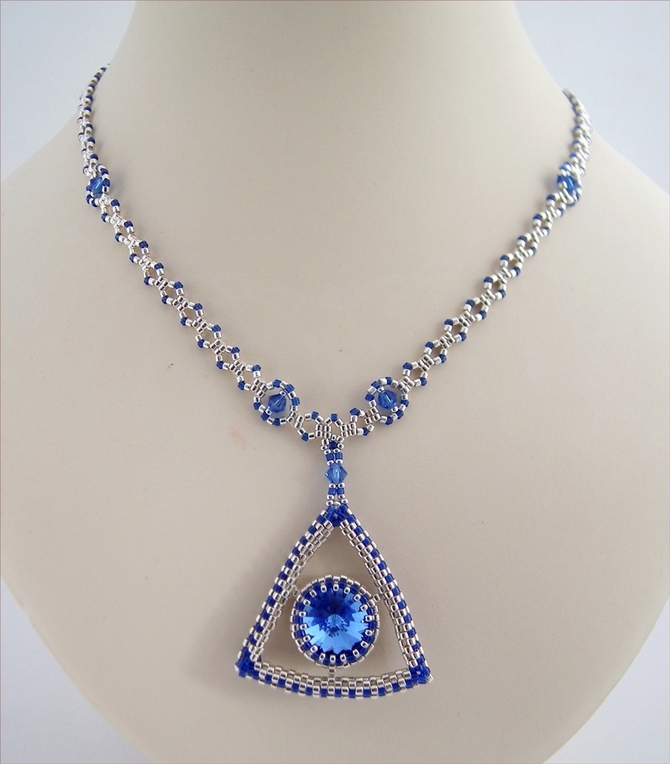 The focal point of this necklace is a 14mm Swarovski crystal in sapphire blue. 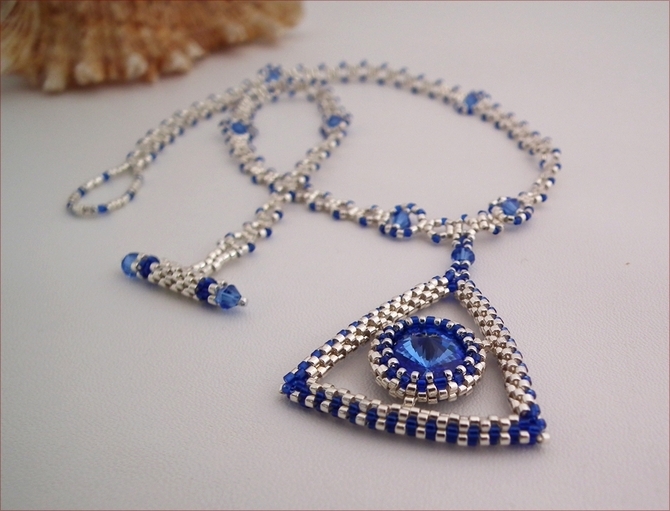 It is in a bezel setting of silver and sapphire blue Japanese Delica beads and framed in a beadwork triangle made with the same beads. I made the chain using the same beads - the highest quality of seed beads - with the addition of 4mm Swarovski crystal bicones. I arrived at the chain after some experimentation with different kinds of rope for the necklace and found the chain the most suitable. The whole necklace is a as light as a feather and very comfortable to wear. It has an elegance which means it can be worn dressed up for the evening, and a simplicity of style that gives it more versatility and can be worn during the day as well. 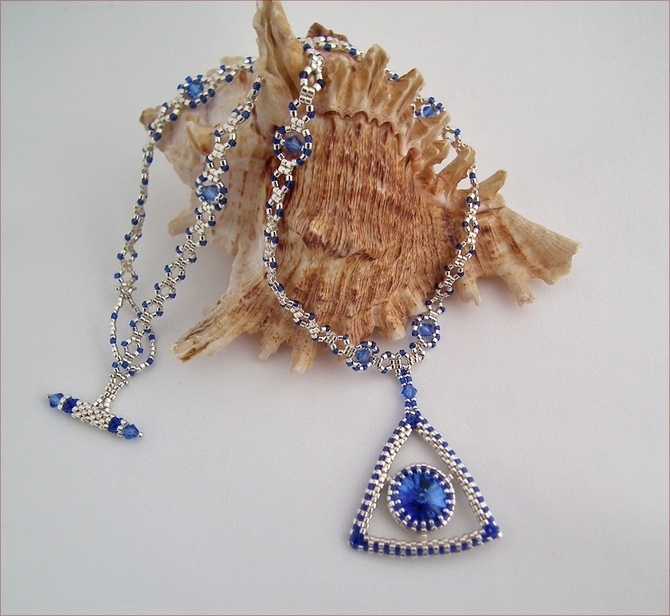 I am really pleased with the look of this necklace- classic with a touch of deco about it, yet completely contemporary. The necklace is 17.5" (455mm) long, fastening with a beadwork toggle clasp. The pendant is approximately 4.5cm. 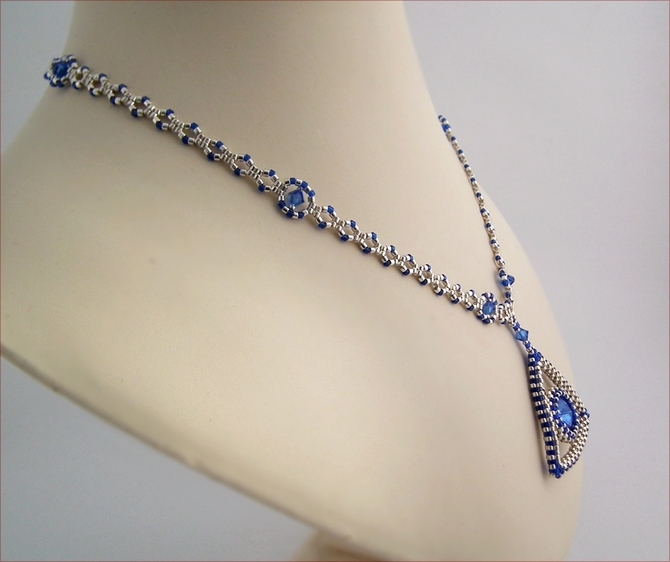 I call this Saffie - because of the gorgeous sapphire colour and after a little blue-eyed girl I once knew.